This is the final chapter of a trilogy of posts here at Cranky. In February 2016, Southwest gave me a tour of the brand new ticket counter area along with some of the gate work. Then in March of 2017, I was given an early look at the rebuilt security checkpoint along with more gate work. The rest of the project was supposed to be done in time for this year’s summer travel rush, but changes in scope delayed it six months. Now it’s all open, and the $515 million project came in just a hair under budget. So, let’s look. Between the new ticket counter and security checkpoint was the old bank of escalators that went up to the old security checkpoint. Those escalators have now been replaced with bathrooms. People going from ticketing to security wouldn’t see much of a trace of the old way of doing things… with one exception. As you can see, there is still an escalator that goes up where the old ones use to be, but that’s meant to serve airline needs since it leads to Southwest’s offices and not to the secure area. The part at the top of the escalators has now been converted into a restaurant space, the local food and coffee joint, Urth Caffé. But that area faces inward toward passengers already on the secure side. Just to the west of Urth is a door that leads out of the secure area. While the old escalators in the middle of the concourse going all the way down to baggage claim are still there, this door next to Urth was supposed to provide an easy way for people to get back to the ticketing level. (This is particularly important since Uber/Lyft now have to operate from the ticketing level as do some airport shuttles.) But guess what? You can’t use it. Apparently airport police/TSA/some other agency has determined that this door isn’t able to be secured properly for it to be used as a regular exit. Only people who need to access an elevator can use this door if they are escorted. Everyone else either has to go the long way around back through the security checkpoint, or they have to go down to baggage and find an escalator back up to ticketing. This is a huge bummer. Across from there, you might remember an old, dingy food court with California Pizza Kitchen among other things. That has been blown out and the space is now more open with a bank of windows at the back. For those who would rather have something not local, there’s a Chick-Fil-A there which I find incredibly annoying. Any place that won’t open 7 days a week has no business being in an airport. Throughout the rest of the concourse, restaurants have been added all over. Concession space has gone from around 15,000 sq ft before the renovation up to about 40,000 sq ft now. Just past the food court there’s a walled-off area that doesn’t look permanent. That’s because it’s not. What will eventually be gate 12A (you can even see the gate sign in the photo above) is, for now, the home of the brand new pilot base in LA that opens shortly. (The flight attendants are opening a base too, but their temporary space is up one more floor outside security.) These will both move into Terminal 1.5 when that opens, but I’ll get to that later. Other than 12A, which won’t open for a couple of years, the last gate has reopened post-remodel. Gate 12B just opened earlier in November, so Southwest is now at 12 gates in Terminal 1. That’s where it will stay until 2020 when Terminal 1.5 opens. Do you remember that great airplane view between Terminals 1 and 2? Or do you remember that short-lived skycap area just to the west of Terminal 1? Both of those are gone, because they needed to make room for Terminal 1.5 which is currently a big hole in the ground. This will be accessed via the walkway that used to go to the old gate 2 (briefly gate 10 after the renumbering). That’s just to the south of the new food court. Right now, it’s blocked off. Once 1.5 is done, then there’s just one more big project for Southwest.. Terminal 0. What is currently a parking lot to the east of Terminal 1 will become another concourse, probably something that will be similar to how Terminal 8 is set up. The dream is for this to house a customs facility, so Southwest can consolidate all its operations into one complex. The current gate 9 will be razed when they build it, but it should be able to add around 10 gates. Right now, Terminal 0 is just a dream. Nothing has been approved or funded, so it’s just a long-term plan. It’s going to take years before it gets built, but some day…. Until that point, travelers can once again enjoy a (mostly) construction-free Terminal 1. I feel sorry for the employees that have to “secure” exit doors. I can think of no more boring job than making sure people don’t go in an “out” door. You’d think in this case, they could just have a big button saying “Press if you need to use this elevator to ticketing” and have that summon an employee. I was going to make a similar comment after seeing the photo of a door and a lonely agent watching it. With the technology available today in security you’d think that these openings wouldn’t need to be physically manned at all times. I’m sure it’s in a union contract or something similar but I’m skeptical anyone truly volunteers for that job at the start of each shift. PHL has fully automated some of these types of doors, so it’s definitely possible. They do have these at airports. SYR has an automated exit system that only lets people go in one direction. The only downside is that it can’t handle a lot of volume, and the cost and maintenance of the system isn’t negligible. Yeah, Chick-Inflate is closed on Sunday. That’s inconvenient, but at least they practice what they preach. I choose to avoid them for other reasons, but obviously only being open 86% (actually less) of the time isn’t hurting their business success. I’m not religious myself, but I take issue with so-called “Christian” businesses that sell on Sundays and/or sell products or services that are contrary to teachings. Agree. I have my own other criticisms of the company and so simply don’t eat there for those reasons, but hey, at least they’re sincere enough to stand by the stuff that loses them cash, too. My problem is the stuff that they preach. No thanks, I don’t need to buy fast food from the talibornagains. So do unions, based on some peoples comments. I am sorry you feel that way. It certainly has at times and will continue to do so. Give Love a chance. If you do that hopefully you will see religion differently. I also agree. LAX disagrees with us all, quite literally. $$$ prevails, as always. The complaint about Chick-Fil-A seems churlish. In the next paragraph, you mentioned that the terminal’s concession space had increased from 15K to 40K square feet. So there’s no way that having one restaurant closed on Sundays is seriously impacting your selection of food when you’re there. By all means, don’t patronize them if they bug you. But I imagine the terminal’s decision to give them the lease was informed by cold financial calculations, so it seems clear that the one thing they *do* have is “business” in an airport. Hear hear. That is the correct outlook. It is fine not to partonize Chick-fil-a, but don’t whine about it since the airport has plenty of options that are open on Sunday. In the “new and improved” terminals I’ve seen, primarily IAH and EWR, most of the food options are relatively high-end – $7 tacos rather than $3 hamburgers. It seems that each new terminal has one fast food place that is usually packed to the gills with airport employees, flight crews, families, and other folks who aren’t on expense accounts. If you take away the single affordable option one day a week, that makes it much tougher on people who don’t want to spend $15+ per person on an airport lunch..
El Al won’t operate flights from sundown Friday to sundown Saturday for Shabbat. I guess they shouldn’t be operating at airports either. The difference, if one is to argue one, is that an airplane is not a fixed object and can be moved around providing space for another. Whereas here, closure of the restaurant means one less option, which, as some have suggested, might otherwise be the most affordable option. That said, if said option can afford the rent (and I doubt LAX gave them a discount for only operating six days / week) and said option can still afford to sell its food for less than most of its competitors in the same space for whatever reasons when it is open, well, hats off to them. Capitalism and free markets and freedom, right? Bad attitude towards Chick-fil-A It’s a good corporate policy for the employees. Monday-Saturday. Surely someone else will pick up the slack on Sunday. There are Chick-fil-A’s in NFL stadiums as well. That would make less sense yet stadiums still choose them due to their insane revenues during stadium usage on non-sundays. I don’t see why you would add that statement into your commentary. You reserve the right to post or work whenever best suits your family why can’t Chich-fil-A? The TSA pre-check office is also closed on Sunday. You could argue that is a more important customer need so where is the comment on that? I would guess you understand the practice of governmental offices being closed on Sundays so why can’t you understand the logic in a Christian business choosing to close as well? This type of stuff is just typical and annoying. Reread my comment, please. The article takes a negative attitude towards what I feel is a good corporate policy.Sent from my Sprint Samsung Galaxy® Note 4. Sorry wasawyerjr I wasnt commenting directly back to your statement. I realize we agree I was just piggy backing on your comment. Disagree to some extent – there are a lot of employees who would rather have the hours than the day off. Example: college students with no local family and aren’t religious (or belong to a faith with a different sabbath) and could use the money. In this case, the dramatic expansion makes losing one choice out of many a minor issue, but in other places (take TPA airside F for example, where Chick-Fil-A represents 25% of the restaurants) it isn’t acceptable and I agree with Lucky. Good points, but I appreciate CF practicing what it preaches. Its frustrating to me that with every new airport or concession refresh, the vendors get more and more expensive and more involved, its what happened at MDW and same with LAX-T1. Until the CFA opened in Terminal 1, there really wasn’t much in-terms of fast and cheap after they took out the McD’s 2 years ago. You either had your choice of bagels and sandwiches or spending $20 at a sit down restaurant. When I am at an airport I am not trying to spend an hour having a burger. Best airport for concessions IMO is DAL, you have several fast and “cheap” options and a handful of sit down options, perfect balance. Yeah, sadly, “street pricing” has gone the way of the dodo in California. It’s been 20-25 years, but is the full service employee cafeteria hidden at the base of the Theme Building still there? Back in the mid and late 90’s, when I did my photo shoots (have tons of pics taken from Terminal One), I would often go there to avoid the a-la airport pricing of the main terminals. Ate there countless times during the years and never once got turned away or asked to show an employee badge. Matt D – That’s gone, unless it’s been relocated somewhere. I believe that space is now part of the new USO that just opened in the Theme Building. But I do remember that. Of course, if your layover is long enough… there’s always In-N-Out. Your are right, sir. The old cafeteria is gone and has not (thus far) been relocated. 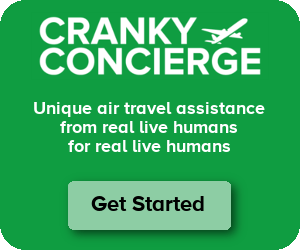 Cranky is right, if you’re going to have a food concession at any major airport, you need to be available 7 days a week. Especially so if you are one of the more affordable outlets. We don’t know if any of the remaining concession space is going to be leased to an affordable food outlet, but until then CFL needs to be available on Sundays. I’m no fan of Chick-fil-a, but your ire is misdirected. File your complaint to LAX, not Chick-fil-a. If LAX wants to set daily or hourly minimum commitments that vendors must be open to ensure passengers have the widest range of options and service times, they could have and deliberately chose not to do so. They knew when signing that lease that Chick-fil-a would be closed on one of the busiest travel days of the week. That’s on them; not the vendor. 6 days of CFA is 10000x better than 7 days of McD’s, BK, or Wendy’s. The best thing about them being closed on Sunday? It satisfies that craving on Monday all the better!